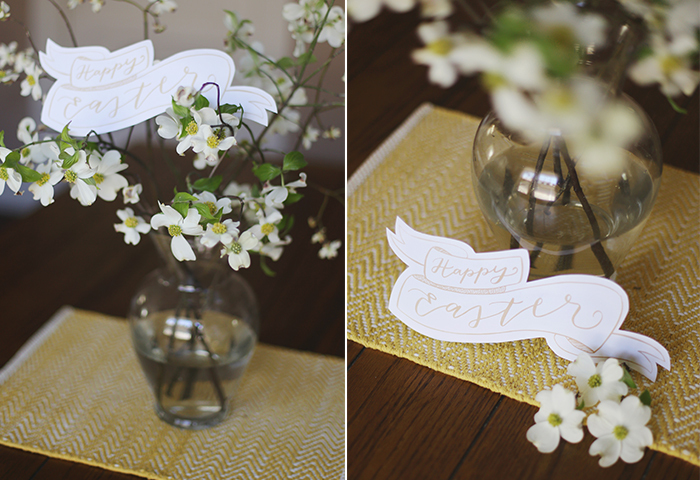 Easter Printable Place Card and Banner! 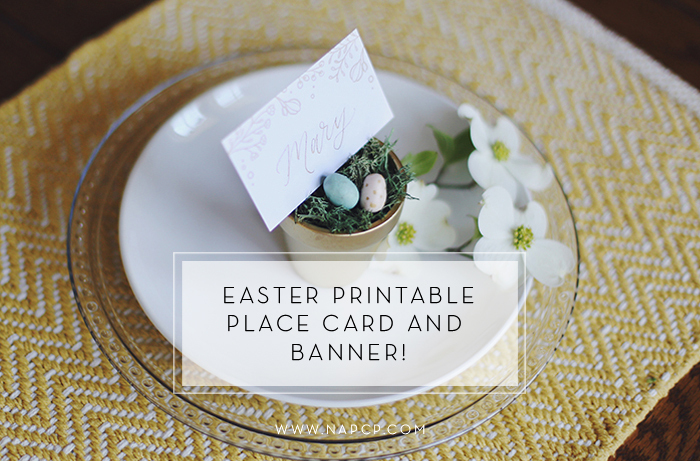 21 Mar Easter Printable Place Card and Banner! Looking for a way to spruce up your Easter brunch table this year? Just for you, an adorable DIY using our FREE printable place card and banner templates! 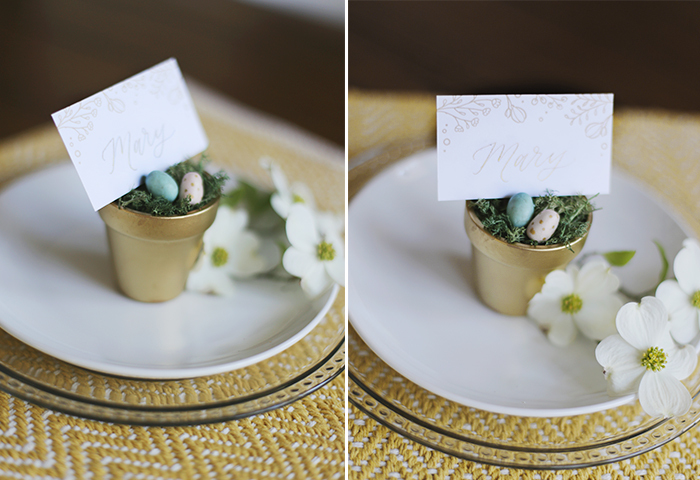 These little place card holders are super easy to make and won’t break the bank. However, feel free to print place cards and style on your own as well! There are no rules here. Step 1: Print your templates and trim – can leave as folded or cut in half like I did. If you cut in half, you may need a tooth pick to make sure they stay propped up. Step 2: Spray paint small clay pots gold. Best to have standing up when spraying and not on it’s side. Step 4: With your molding clay, take small quarter sized amounts and first roll into a ball. Then using your fingers, round out one end to give more of an egg shape. Also feel free to decorate your eggs! I added gold polka dots to one with a gold sharpie! Step 5: Top it off with your place card and you are all set! 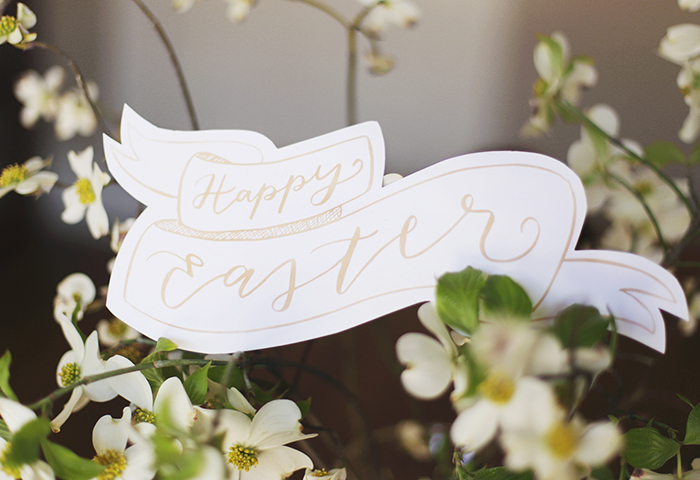 And if your centerpiece is in need of a little flair as well, we also included this printable banner! Enjoy! Celebrate in Style: 4th of July Photo Props! May Printables and Art Print Pack! April Printables and Art Print Pack!